This Adjustable Bistro Table makes a handy addition to your home bar or simply a great pop up table if you’re off traveling, camping or caravanning. 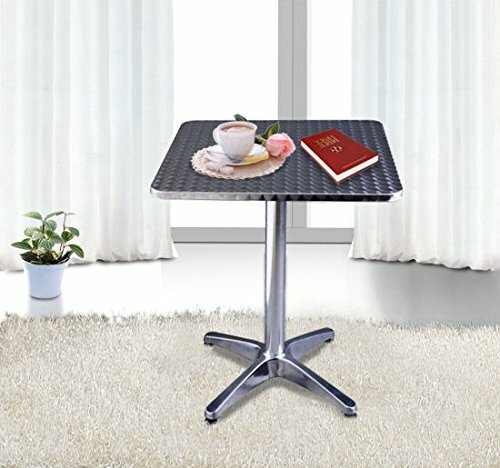 A great surface solution for small spaces, this Adjustable Bistro Table can be altered from bar height to coffee table height by removing the extension tube and is perfect for campervans and caravans if you’re thinking about treating yourself to a staycation. Not just for home use, this Adjustable Bistro Table can be used in commercial settings such as cafes, bars, and restaurants.